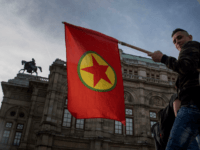 The Austrian Interior Ministry has banned several extremist symbols including those from Turkish ultra-nationalists, Kurdish terrorists, and the Muslim Brotherhood. 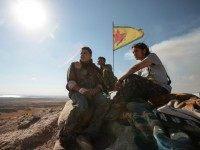 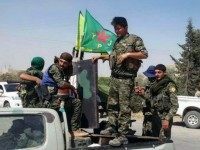 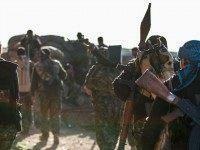 Syrian Kurds who helped the United States decimate the Islamic State (ISIS/ISIL) are reluctantly turning to Russia and its Syrian regime ally for assistance in protecting their lands from a planned attack by NATO member Turkey as the U.S. prepares to draw down its military presence in Syria, a Kurdish leader told Breitbart News. 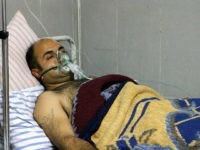 Iraq’s foreign ministry (FM) on Sunday condemned Ankara’s forces for shooting at a crowd of demonstrators in Iraqi Kurdistan who attacked a Turkish military camp in protest of Turkey’s most recent airstrikes on members of a Kurdish terrorist group, a move that violated Iraq’s sovereignty. 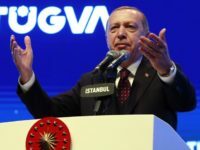 Turkey’s President Recep Tayyip Erdogan on Tuesday pledged to consider U.S. President Donald Trump’s proposal to establish a safe zone in northeastern Syria ahead of a planned Turkish offensive against the U.S.-allied Kurdish fighters who control the region. 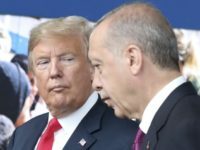 Turkish President Recep Tayyip Erdogan’s administration this week requested that the United States hand over control of its 16 military bases in Syrian territory controlled by American-allied Kurds after the U.S. withdraws. 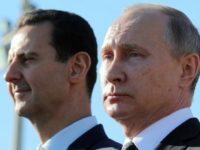 The Syrian Kurdish People’s Protection Units (YPG/YPJ) have turned to Russia to mediate talks between them and dictator Bashar al-Assad amid threats of an impending Turkish offensive into their territory in northern Syria, a senior Kurdish official reportedly declared on Monday. 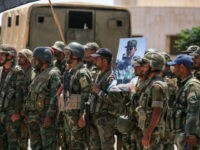 Iranian- and Russian-backed forces loyal to Syrian dictator Bashar al-Assad and Turkish-backed Free Syrian Army (FSA) fighters are building up their military presence near the Syrian town of Manbij this week, a focal point of post-U.S. troops’ pullout plans. 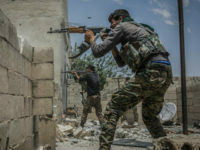 The U.S.-backed Syrian Democratic Forces (SDF), an alliance led by the Kurdish People’s Protection Units (YPG), recently handed over control of territory near northern Syria’s Manbij region to the Russian and Iranian-allied regime of Bashar al-Assad in exchange for support in repelling an imminent attack by Turkey, the state-run Anadolu Agency (AA) reported Tuesday. 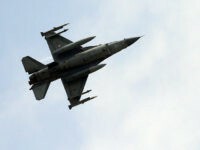 Turkey’s military launched airstrikes on Thursday allegedly targeting members of the Kurdistan Worker’s Party (PKK) terrorist group and their affiliates in northern Iraq, home to the group’s primary strongholds. 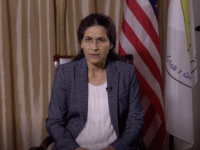 The United States, in an effort to repair ties with NATO ally Turkey, offered up to $12 million in rewards this week for information on three senior members of the Kurdistan Worker’s Party (PKK) terrorist group, a prime target of the current Turkish administration. 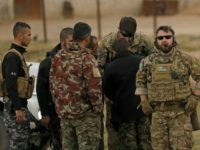 A former soldier in the British army has been sentenced to seven and a half years in a Turkish prison for terrorism offences after fighting Islamic State with a Western-allianced Kurdish militia in Syria. 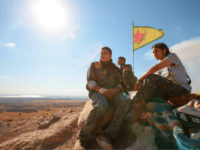 Kurdish and Arab fighters have abandoned the U.S.-backed fight against the Islamic State (ISIS/ISIL) to help their friends and families repel a Turkish offensive reportedly assisted by Syrian rebels seeking to take revenge on the Kurds. 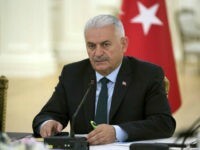 Turkey’s foreign minister dismissed allegations the country used chemical weapons against the Kurds in northern Syria’s Afrin region as fake news disseminated by the terrorist Kurdistan Workers’ Party (PKK) organization, arguing that Turkey is taking the utmost precautions to avoid hurting noncombatants. 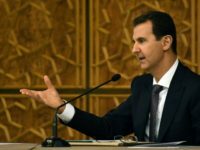 The Russian and Iranian-allied regime of Syrian dictator Bashar al-Assad is reportedly assisting the U.S.-backed Kurds in their efforts to repel Turkey’s offensive in northern Syria’s Afrin region. 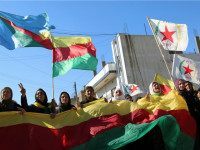 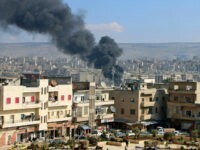 WASHINGTON, DC — Russia urged Syrian Kurds to “hand over” the Afrin region to Moscow-backed dictator Bashar al-Assad “one day” before the ongoing Turkish assault on the territory, confirmed an official of the self-declared autonomous Kurdish administration in northern Syria. 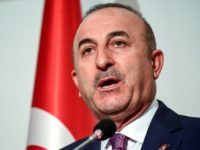 Turkey vows to take action against a United States-supported plan to establish a Kurdish-majority force of 30,000 troops in Syria “regardless of who backs them,” cautioned Turkish Foreign Minister Mevlut Cavusoglu. 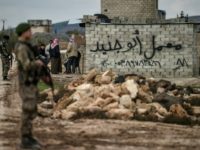 The Turkish government claimed Washington would stop arming the People’s Protection Units (YPG), a Syrian Kurdish militia considered among the most successful on the ground fighting the Islamic State (ISIS), following a conversation between President Donald Trump and Turkish President Recep Tayyip Erdoğan on November 24. 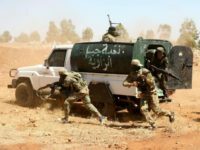 The prime minister of Turkey has accused America of turning a blind eye when the U.S.-backed Kurdish People’s Protection Units (YPG) allegedly granted the Islamic State (ISIS/ISIL) permission to flee Syria’s Raqqa along with their weapons and munitions. 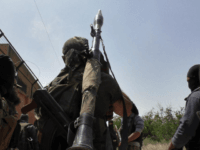 American forces have clashed with Turkish-backed rebels in northern Syria, reports CNN, citing an unnamed military official with the U.S.-led coalition against the Islamic State (ISIS/ISIL). 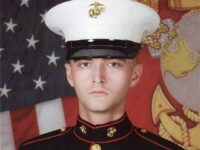 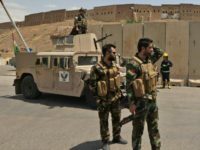 The Islamic State (ISIS/ISIL) has killed at least three American volunteers so far this month who traveled to Syria to fight the jihadist group alongside U.S.-backed Kurdish troops. 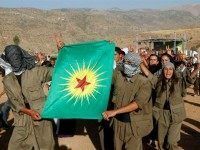 The Baghdad-sanctioned Popular Mobilization Units (PMU), a predominantly Shiite paramilitary group backed by Iran, has pushed out the U.S.-designated terrorist group known as the Kurdistan Workers Party (PKK) from areas south of the Yazidi-majority Sinjar region in northern Iraq. 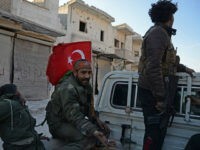 Turkey’s Kurdish minority is suffering from a “slow-motion genocide” at the hands of President Recep Tayyip Erdogan’s government as he pushes the country towards an “authoritarian system of governance,” the U.S. representative of a pro-Kurdish opposition party told a House panel. 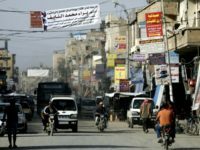 The U.S. and Russia-backed Kurdish Democratic Union Party (PYD) has offered the people of Raqqa the opportunity to join its autonomous federal region in northern Syria once the Islamic State (ISIS/ISIL) is pushed out of the city. 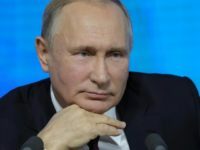 The U.S.-allied Kurdish People’s Protection Units (YPG) in northern Syria have reportedly acknowledged “direct relations with Russia,” noting the Kremlin is providing training.